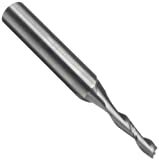 This Onsrud End Mill features a 2" Carbide Tipped Two Flute Straight 140° V Flute for V-Grooving or beveling edges for wood. 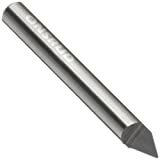 These are especially useful for sign-making and letter carving. 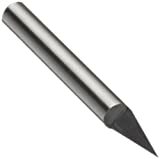 Cut Diameter: 2" Shank: 1/2"Cut Length: 0.364"Overall Length: 2-5/8"